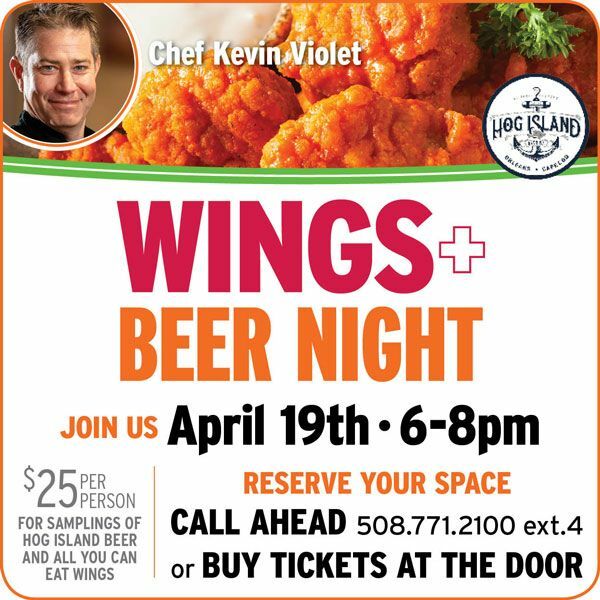 Join us for the Chef Kevin Violet’s favorite Wings and a Hog Island Beer Co. tasting. Ten Pin Eatery is located at Cape Cod Mall, 769 Iyannough Road, Hyannis. Please enter through the Ten Pin Eatery entrance in the rear of the Cape Cod Mall (between Macy’s and Men’s Warehouse).